Airport business woman waiting in terminal. 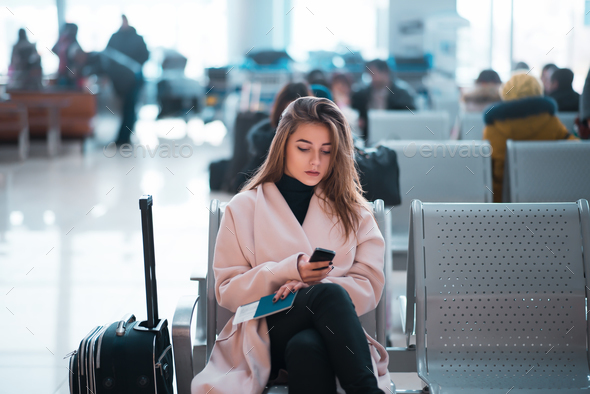 Air travel concept with casual businesswoman sitting with suitcase. Mixed race female professions.